AppZapp is an Android App developed by ConIT AG that finds you the bargain Apps in the Google Play Store to ensure you never miss a sale item again. Featuring all the Apps that are on sale, together with detailed information about every App, their developer, and rating, AppZapp is the one-stop place to go for all the information you need about what’s in the Google Play Store. AppZapp has an incredibly easy to use interface, which is very intuative for the user. The menu is a simple swipe to the side to reveal the various sections. Apps are split into New Apps, Offers, and Charts, and AppZapp even features a news section offering opinions and thoughts on Apps in the Play Store. The price of the App is clearly shown and you are able to quickly find Apps that would otherwise get lost in all the noise that is the Google Play Store. 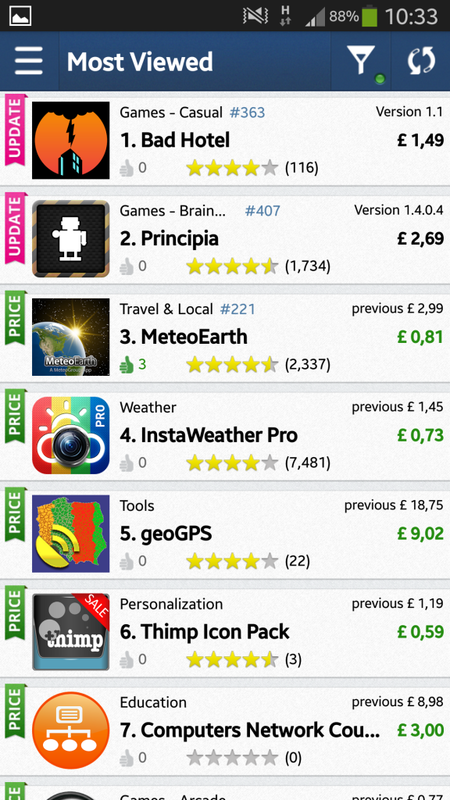 AppZapp also provides graphics on which Apps are trending and are rising up the rankings, and those which have been recently reduced, so you can grab a bargain on your favourite App. 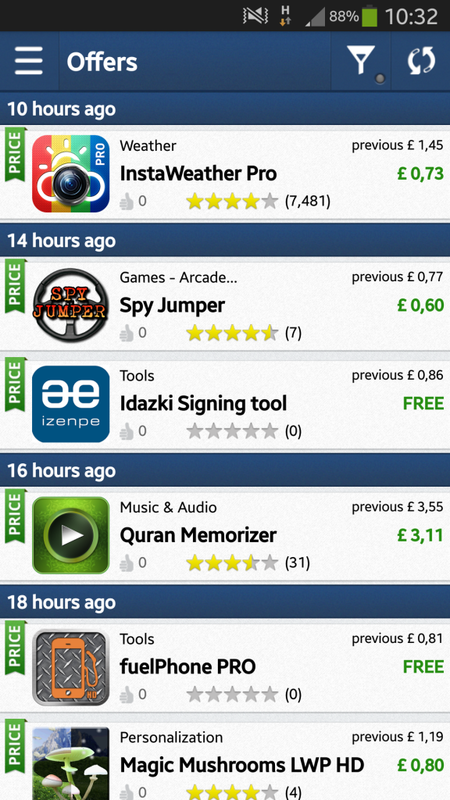 AppZapp is free from the Google Play Store, and it is my now go-to App finder. 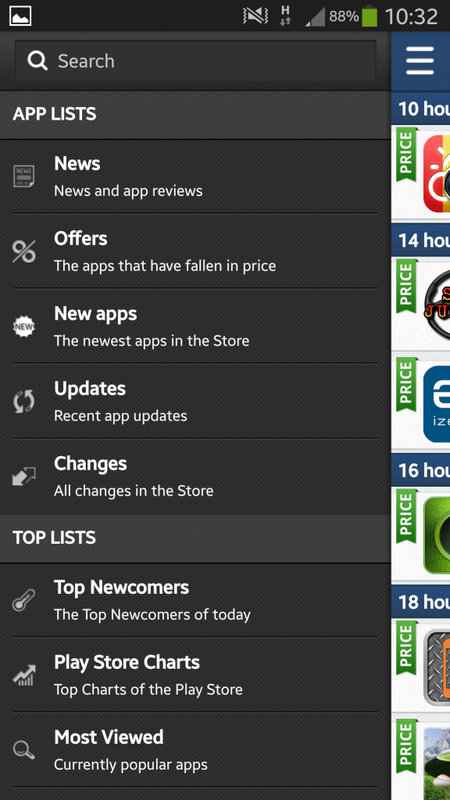 I even prefer this App over the Google Play Store itself. 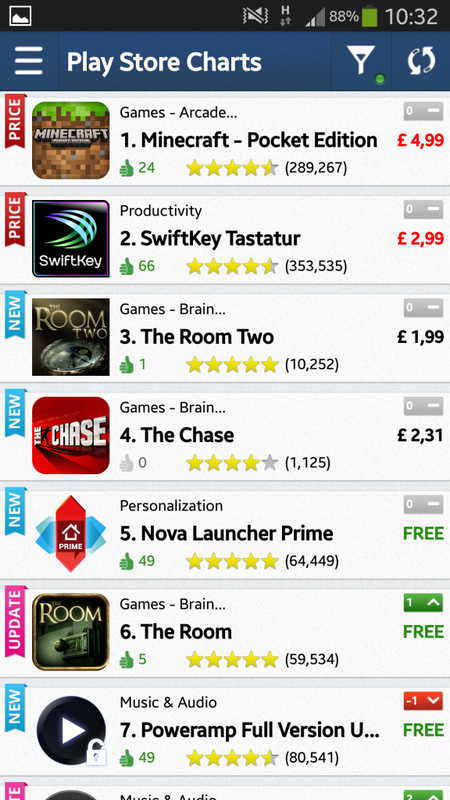 The layout, information provided, and ease of use, all make AppZapp a worthwhile download. The developer says that new features are coming soon, so be sure to check that update tab to see what AppZapp has to offer in future.